Selling an old car to be recycled is a good way to get cash for the car. QB Copper Recycling of Perth offers the following information on selling an old car to have it recycled for cash. When the car is old and in a debilitated condition, chances are that you won’t get much interest in the car if you put it up for sale. Old cars can be sold for cash to QB Copper Recycling as we recycle old cars and also Buy Used Car Batteries in Perth. 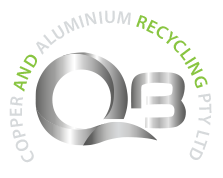 The process of recycling a car can be complex, that is, if you don’t have an experienced recycler such as QB Copper Recycling to help you. Old cars must be dismantled to be recycled. Our wreckers dismantle cars, prepping them to be recycled. Then our expert recyclers recycle the cars. The process is one that is eco-friendly as it leaves the smallest possible carbon imprint when cars are recycled compared to that of being tossed into a landfill. The process is also one that allows us to pay cash for the recycling of the metals of the car. You might be wondering what the process sounds great, but what’s the catch? Obviously, you’ll have to pay for the recycling, or some other fees, right? Guess again. There is no catch. With QB Copper Recycling, we are a recycling company that provides courtesy car recycling services for all cars that we buy to recycle. With us, you get cash for your car and do something eco-friendly with its disposal. With QB Copper Recycling, you have a buyer that is a professional recycler. We stay up to date on the current metal prices and provide all our services as a courtesy to our customers. With us, you have an instant buyer for your car that knows how to accurately price the car for its metals. We also come to you to remove the car, so there are no inconveniences. To obtain a cash quote for your car or truck, give us a call at the number below. To obtain an online quote in minutes, please fill out our online quote form on our homepage. With us, you get a fair cash value for your car and a free removal and recycling for the car. Call us for a top cash offer for your car to recycle at 08 9458 2993.